If I could go back in time 3 years the first thing I would do would be forcing myself to get a retail job. I wouldn’t stop until I landed one. I believe retail jobs provide the type of training that is extremely useful for entrepreneur’s and also many different career paths and positions. This post is not a practical list of tools and how-to’s on becoming a better salesman. You won’t find lessons on how to cold call, format a business email or close someone here. You will find out better ways to build a large clientele through customer loyalty and what I like to call “building a living representation of your brand”. Every decent salesman/saleswoman has an idea of the things I’m going to talk about below. Learning how to become a better salesman/saleswoman is essential to becoming successful. Even in jobs where selling a product will not be your number one priority. If you aspire to become a pilot, astronaut or maybe a psychiatrist you probably think you won’t need to be good at selling. Even when you’re not selling a product, you are always selling yourself. When you’re writing your college thesis, when you’re in a job interview or when you’re applying for a credit card. Sometimes the product is you, and that’s the most important product you have to offer. In every aspect of business and life, you need to be able to communicate your expertise in anything you are trying to achieve or sell. You simply can’t live a prosperous life if you’re unable to do so. It’s not all about saying you’re capable of it but also being actually able to do what you’re promoting. You won’t get far saying your an expert on photography but use iPhone apps the adjust your images. There’s one thing that you’re guaranteed to do 100% better than the 7 billion others in this world, and that is being you. What makes you valuable and unique is what you do differently than the 7 billion other human beings on this planet. Look at your biggest competitors and find out what they do to grow their company and make sales. Follow what they do but add a little bit of something only you can provide. Add something to your service or product that is one of a kind. People confuse selling with a physical product having to be involved. That’s not always true. When in a job interview you need to be able to convey your ability to do the job well. You do that by being knowledgeable of the job duties, your skills that relate to those duties, the company and so much more. You need to be pungent, confident and of course respectful when proving you are the right individual for the job. Obviously, an astronaut or pilot will not be selling a physical product like many other careers. That doesn’t mean they didn’t have to go through hours of training and prove their qualifications and abilities to many different people. The number one biggest mistake people make when it comes to selling a product or service is manipulating the customer. Sales are not about lying or pushing the customer to the edge so they feel they have no choice but to buy your product or service. Sales come down to one single question. Are you solving that individual’s problem? No amount of sales tactics will ever overrule that question. No amount of expert marketing or sales technique will ever be more important than if you can answer that question as a yes or a no. Sales are about Loyalty. If your answer to that question is anything but yes, you are not qualified to sell them your product. You need to show that you care not only about their problem but their wallet too. Building a living representation of your brand. How do I build a living representation of my brand, Ian? First, you focus on getting a few customers. Not a hundred, a few. Then you do everything in your power to ensure that customer is wowed beyond belief with how you treat them. You go the extra mile to solve their problem better than any competitor would. You leave them so amazed that there’s no question the next time they need a service or product you offer, they are going to go to you. You do it with kindness and respect for the person as well. Your image and the way you represent your brand plays a huge role in becoming an excellent salesman/saleswoman. 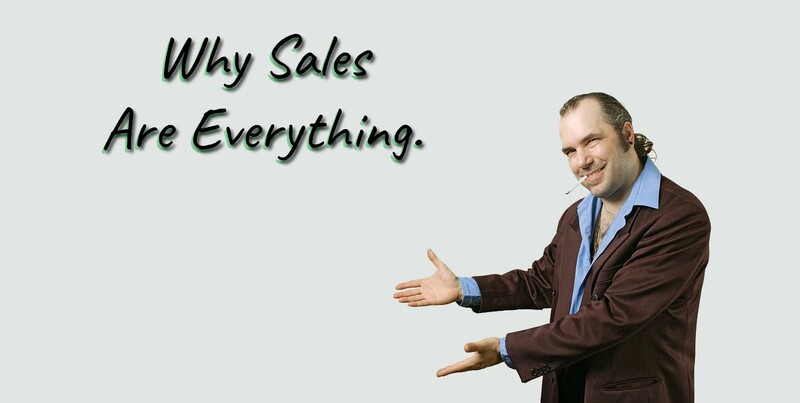 Remember sales are everything. The customer then becomes a living representation of your brand or company. The person certainly will tell a few friends or family about your services. They may even go on Facebook or Twitter and post something about the experience they had dealing with you. Maybe they leave you an amazing Yelp review. As a result of this, you take one guaranteed customer and make three more potential customers. There’s nothing more powerful than going over the top for every single customer or client you come across. To give you a better understanding of how to build a living representation of your brand, here is a story derived from the MFCEO podcast by Andy Frisella. This is a great real-life example involving two tire shops. Our main characters name is Harry. Harry needs a new tire. His back left tire has been going low every 2 days. Harry decides to visit tire store A. After going into the store there is no employee on sight. After 5 minutes an employee comes out and rudely asks Harry what he needs. Harry explains the situation to the best of his knowledge. An employee tells the customer to wait right here while he goes to check out his tires. An employee walks back in the store and alerts the customer that he needs a new tire because his tire has a nail inside it. Store worker alerts Harry that he’s unable to sell him one individual tire. He makes up an excuse that it would make this set of four now be a set of three. Claims it’s “Store policy”. Harry not being an expert on vehicles has no choice but to agree. Employee offers a new set of tires that cost 425 dollars, not including labor. After an hour the employee finishes installing the new tires and charges 75 dollars for labor. The customer leaves with new tires and 500 dollars less than he walked in with. The same scenario, Harry now decides to go to store B.
Harry walks in and sees’s plenty of employees on sight. He is immediately greeted kindly by one of the employee’s. Harry explains his situation and the employee and him go take a look at his tires. They walk out and the employee looks at the low tire on his car. The man alerts Harry that there’s a nail stuck inside his tire and he’ll just need to get it patched up. Employee walks back into the store to grab a patch, as well as a cold water bottle. He comes back out and offers the cold water to Harry letting him know it should only take a few minutes to patch his tire. It’s a hot day and Harry hadn’t had anything to drink all morning. 10 minutes later the employee brings the car out of the shop service area telling Harry he’s all set and he also filled up all his tires to the right pressure. Harry asks the employee how much it will cost and the employee replies: “Don’t worry about it, it was just a patch”. He also alerts Harry that the patch should only be temporary, and it would be safer to buy a new tire when it’s convenient for him. I butchered both of these stories from the original one I heard on the podcast. Which store left Harry with a bigger smile? Which store was he wow’d at? I shouldn’t even need to answer that question for you! The obvious answer is store B. The experience he had at store B was so great he decided to write them a Yelp review, and even post about it on Facebook. There’s no question that next time Harry needs a new tire he will go to store B. Store B has just a built a living representation of their store. They have now built a customer for life. Sometimes to be the best at sales or dominate your competition, you don’t even have to sell anything. That statement probably defies every sales/marketing book you’ve ever read in your entire life. The employee at store B not only solved his problem, he did efficiently and cost friendly too. Store B understand’s the importance of going the extra mile for every customer that walks into the store. If you own a business, there’s going to be countless moments where you can either focus on the sale today or the sales for the rest of your life. Store A was focused on the Sale today. In that moment they may have made more money, (10 dollars) in the long run Harry is going to spend 10x more money at store B. Harry may even go on Yelp and write a bad review about store A. In that sense, they built a bad living representation of their company. They didn’t gain more customers, they lost one. If a customer comes in to buy something and you know they certainly don’t need it, YOU TELL THEM THIS before you sell them anything. Your business will go much farther if you learn that principle. You wouldn’t sell someone a brand new laptop when their old one is working just fine. You wouldn’t sell someone a brand new keyboard when they are missing their E and Y Keys. (Could easily order new keys online) A store that cares would tell the customer that. Show the customer you care. 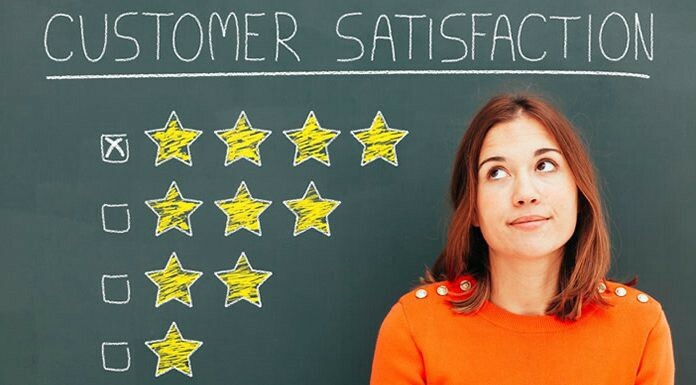 If you know the customer doesn’t need what you are offering, explain why. It’s contradicting, it’s confusing but it’s the absolute most important thing that’s going to differ you from 100 other stores that are offering similar products or services to you. I was going to get my car appraised at the dealer when I was looking to sell it. I called to make the appointment and there wasn’t really a selection of “appraisal” for the appointment reason. So I just told the rep to put trade/sell my car. I walked in and met with my representative a few minutes later. She is oddly kind, smiles all around. Very welcoming. I began explaining my situation in wanting to know the difference for how much they would buy my car, and how much I owed on the loan. Made it clear from the beginning that I didn’t come in to trade/sell my car at that moment. I told her I was merely coming in to get an appraisal and she didn’t seem to understand this. Maybe after the tenth time, I told her I didn’t come in to buy a new car, she finally understood. Her entire demeanor suddenly changed. She went from nice, sweet, smiling saleswoman to “I don’t want to deal with this kid if he’s not going to make me any money from commissions”. It was shocking how horribly she handled the situation. It was sad how much differently I was treated after she knew she wasn’t going to get brownie points for the day. That’s not how you sell something. That’s how you get someone to dislike you and the company you work for. If I could rewind to that exact moment I would’ve had a long talk with her manager. I would have spoken about the lack of enthusiasm the employee had after she found out I wasn’t going to buy a new car. I would have asked why they train their employee’s in such a way. The saddest part was how she had absolutely no idea what just happen. Let’s say I strike the lotto next month, or maybe I become a millionaire in the next few years. Do you think I’m gonna go to this car dealership to buy my new car? Definitely not. I would actually go out of my way to deal with an employee whom I knew would treat me with the respect any customer deserves. That lady didn’t build a customer for life, she lost one. I have countless experiences similar to this day. This one really stuck with me. I mean aren’t car salesman supposed to be exceptionally trained? You’re telling me an Audi saleswoman didn’t know the importance of valuing the customer and treating them with the utmost respect, whether or not they make money off you. I can 100% guarantee you I could do a million times better job than the lady I dealt with. You make a sale by befriending a customer. You make a customer also a friend when you tell the truth and provide them with more value than your competitors. It’s about caring and representing your brand or company in the best way possible. No mistakes in life ever, it’s only lessons.